The EaP CSF Working Group 3 “Environment, climate change and energy security” held its annual meeting on 29-30 May in Brussels, bringing together 25 representatives of the working group and the EU institutions. During the first day, the participants exchanged views on the Action Plan on Luxembourg Declaration as well as on the EU’s Joint Staff Working Document 20 deliverables for 2020 and the EaP CSF Policy Brief that offers the civil society perspective on the document. The debate on these topics also saw the participation and contribution of external stakeholders from DG NEAR and EEAS, who both stressed the importance of CSOs’ inputs during the drafting and the upcoming implementation process. In her presentation, Ms. Angela Bularga (DG NEAR) discussed the implementation of chapters on environment, climate change and energy security included in the third Riga priority, while Ms. Camelia Suica (EEAS) highlighted the importance of decreasing the existing information gap between capitals and the rest of EaP countries about EU policies in the region. The first part of the following day was dedicated to the Forum’s activities in preparation to its 9th Annual Assembly at the end of October. 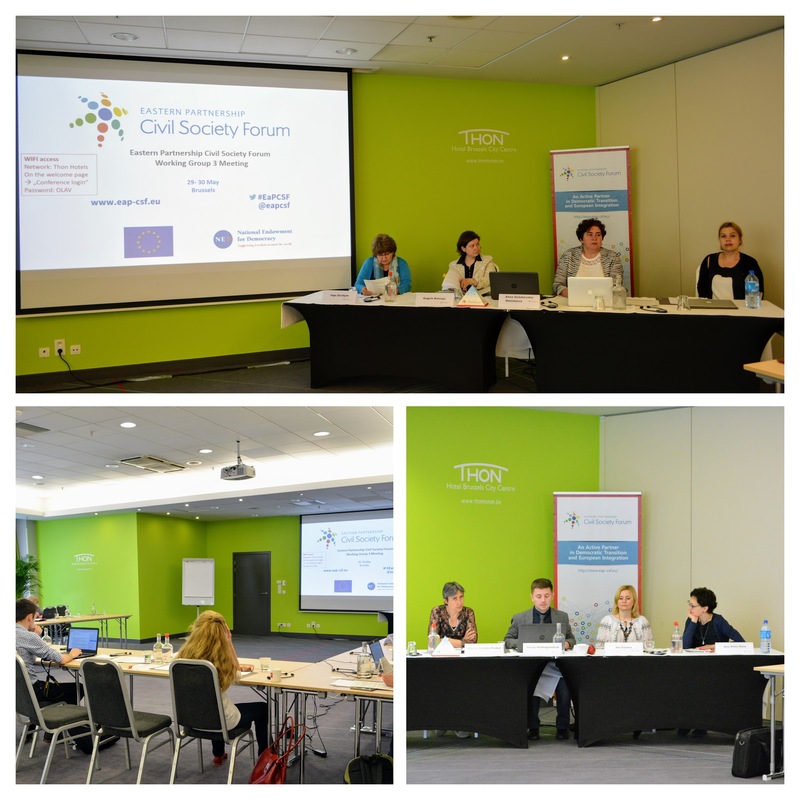 The debate was aimed at defining priorities for the Civil Society Declaration to be adopted by the Annual Assembly and at discussing the review of the EaP CSF Strategy for 2018-2020. A panel on energy issues followed, with the participation of Ms Marion Schiller-Probst from DG ENER. She emphasized that energy will remain one of the key pillar of cooperation after the upcoming EaP Summit, whose main priorities include the enhancement of interconnectivity and security of energy supplies and the support to cleaner and more sustainable energy, in line with the third priority on “Connectivity, energy efficiency, environment and climate” outlined during the 2015 EaP summit in Riga. Finally, Inga Zarafyan – WG3 member of Armenian National Platform – presented an action plan on energy security, environmental and climate change issues, followed by Giorgi Mukhigulishvili, who presented the results of the EaP workshop on Energy regulators. The meeting was closed by the EaP CSF Working Group 3 coordinators, summarizing the major conclusions and pointing out the upcoming activities ahead of the next EaP CSF Annual Assembly.